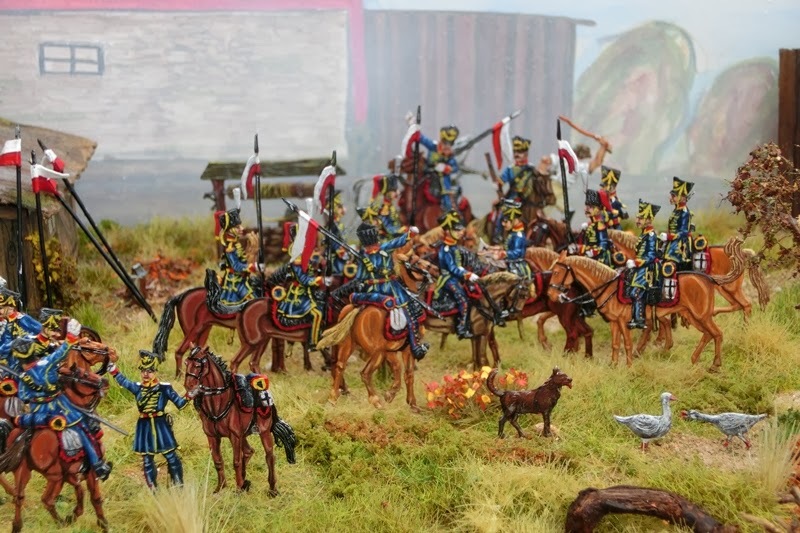 See here the East-Prussian national cavalry skirmishing. 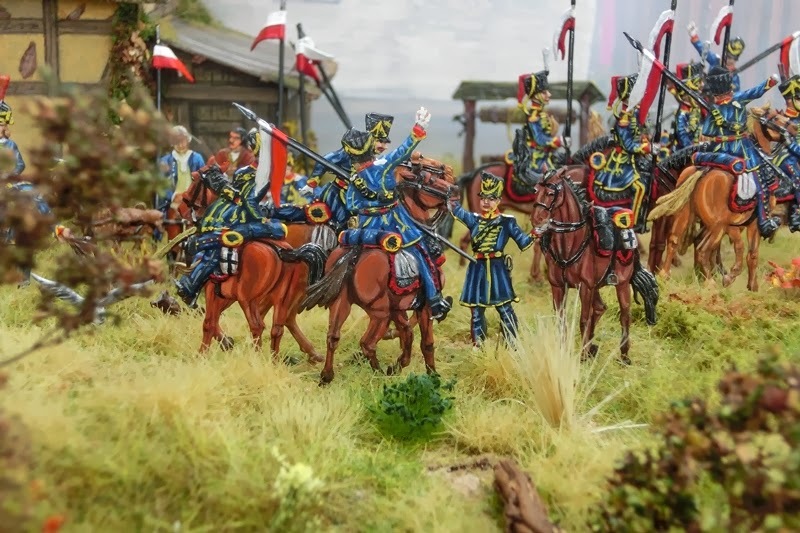 This reminds me that dismounted cavalry is still a huge gap in the 1/72 market. 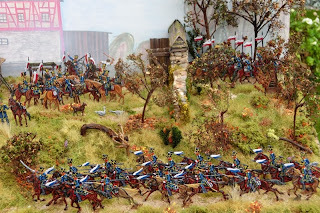 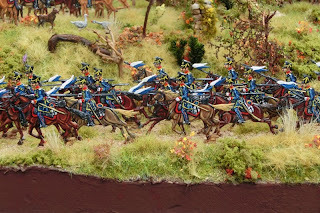 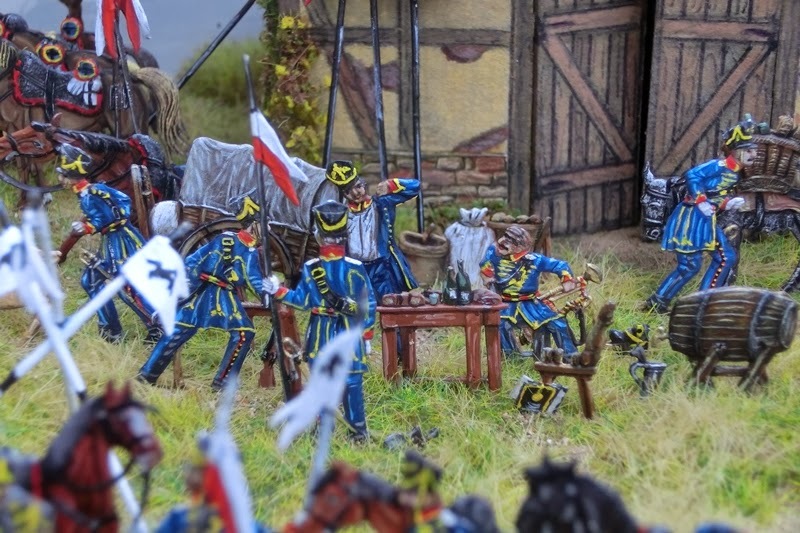 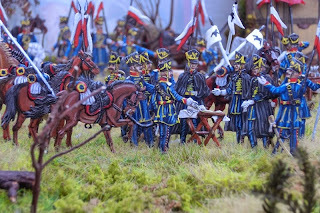 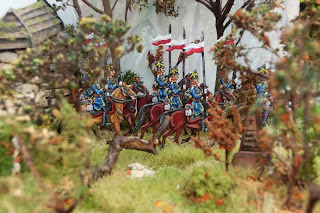 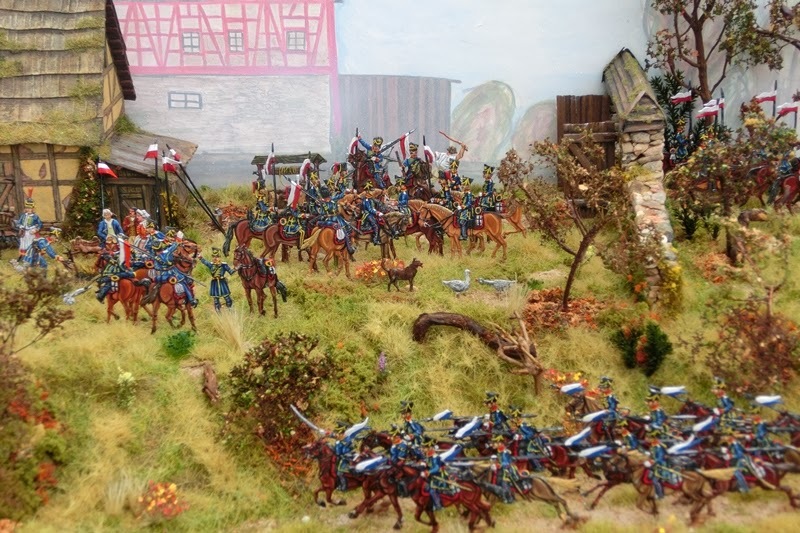 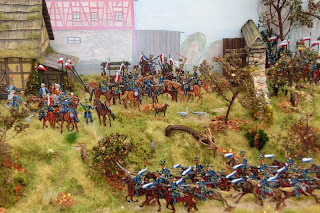 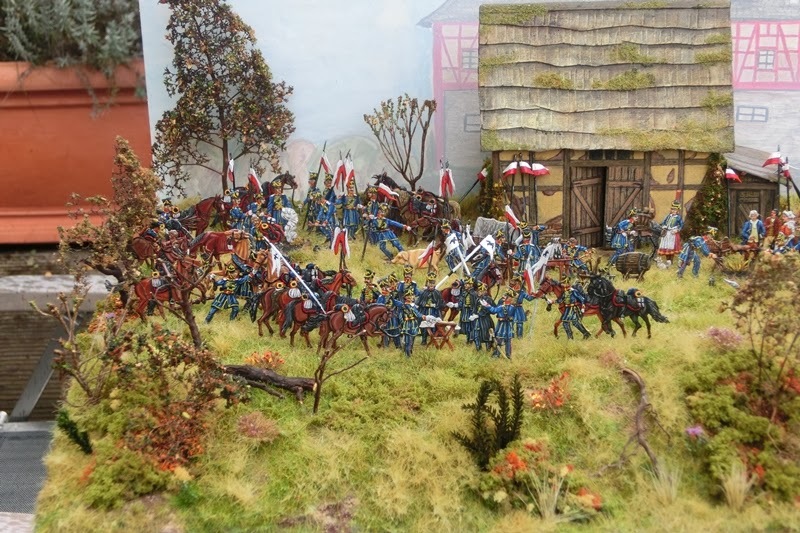 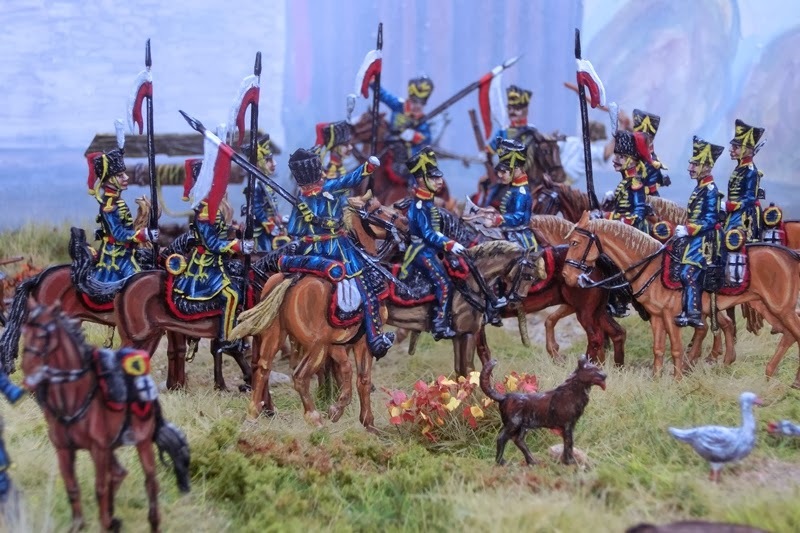 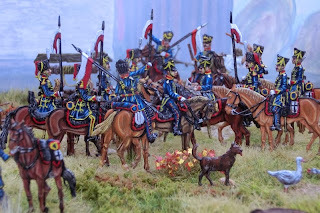 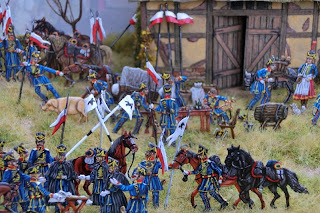 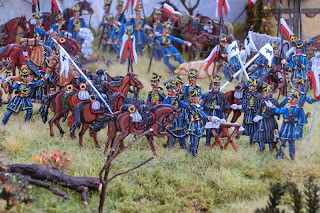 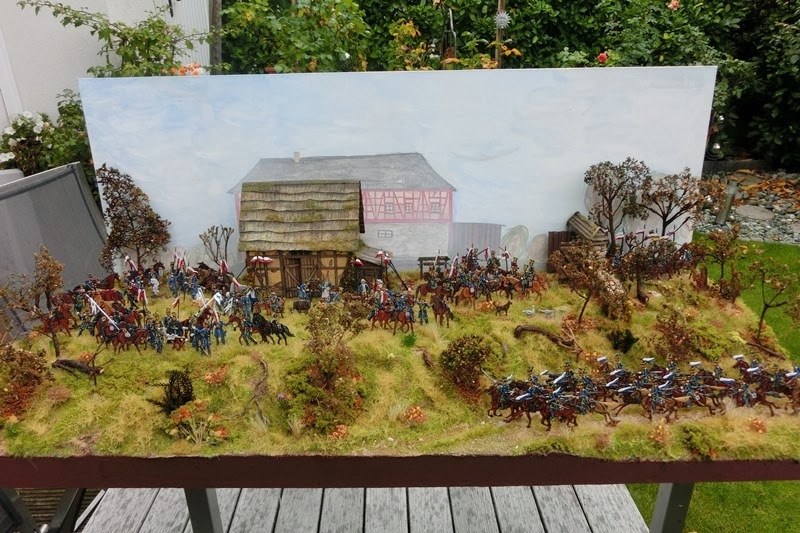 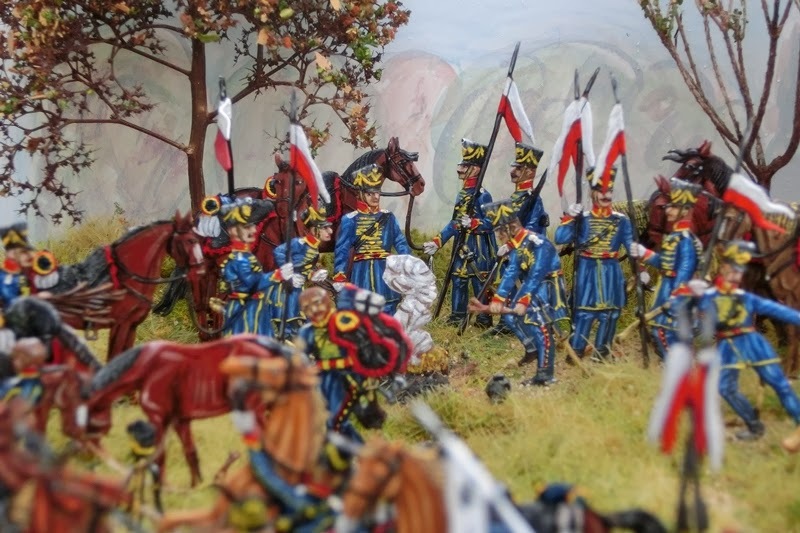 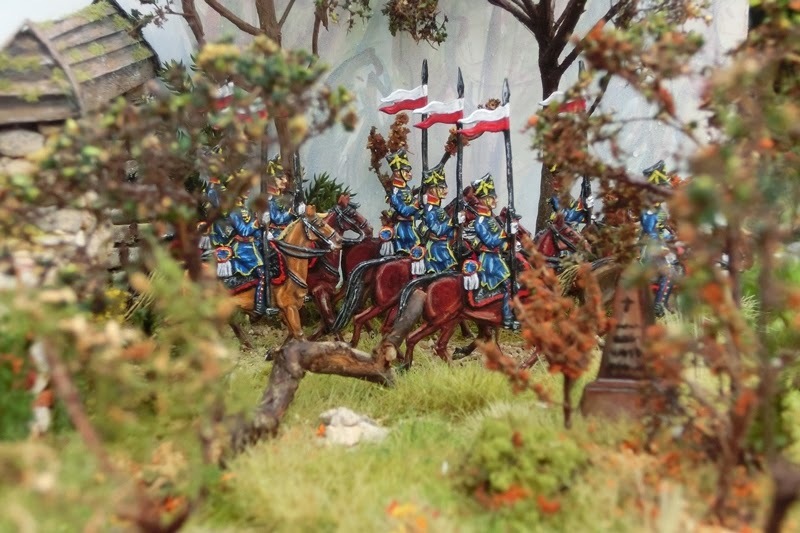 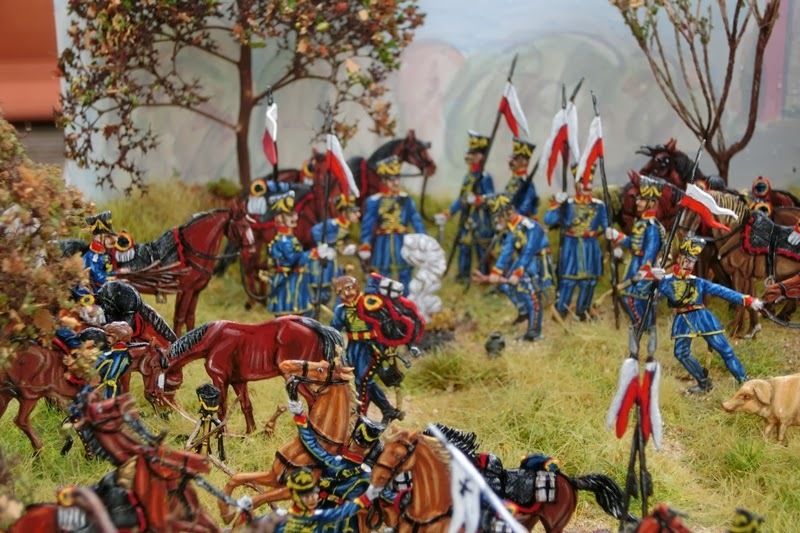 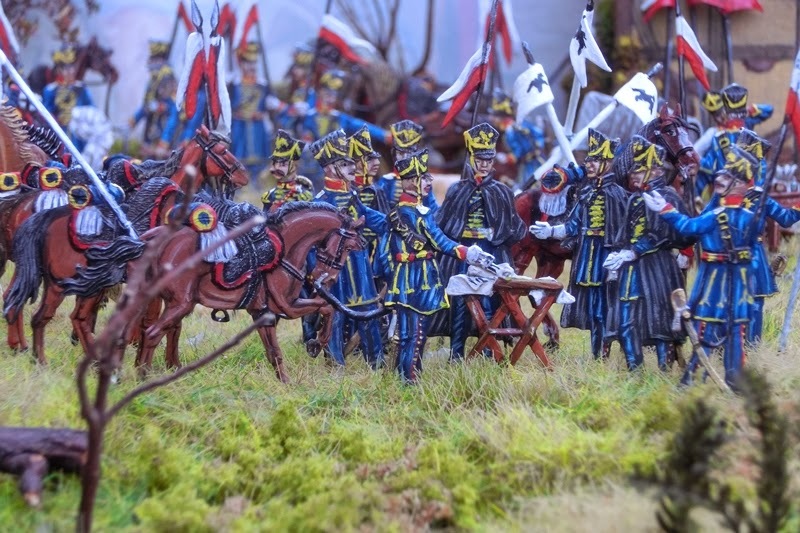 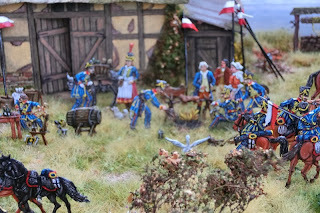 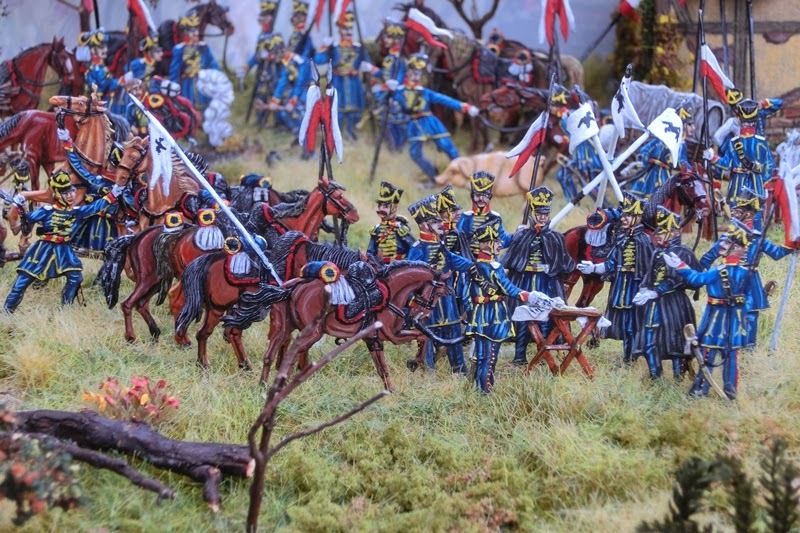 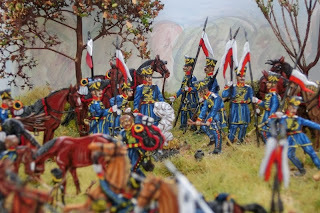 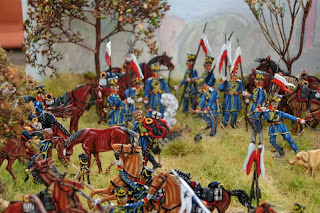 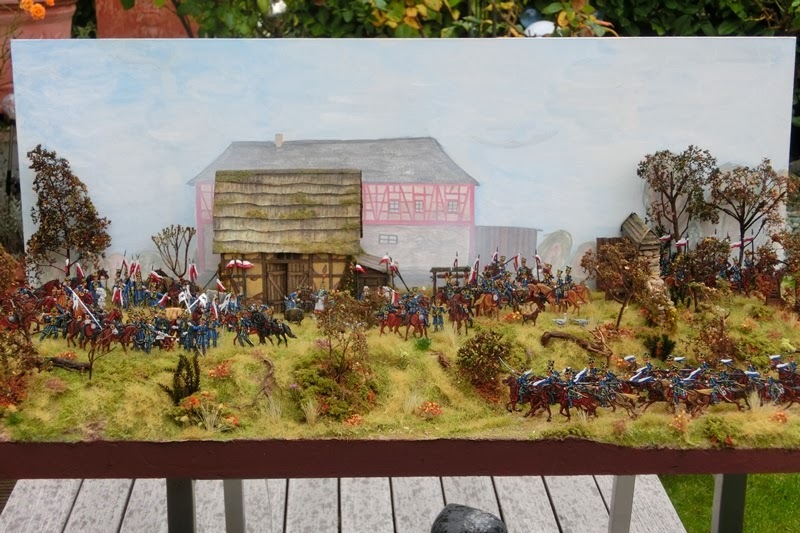 At the moment my other friend Rainer is working on some dismounted French Hussars skirmishing, so hopefully we can fill this gap a little bit in 2014. In case you are collecting 1/72 too this unit is available from Art-miniaturen. 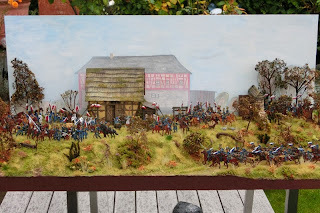 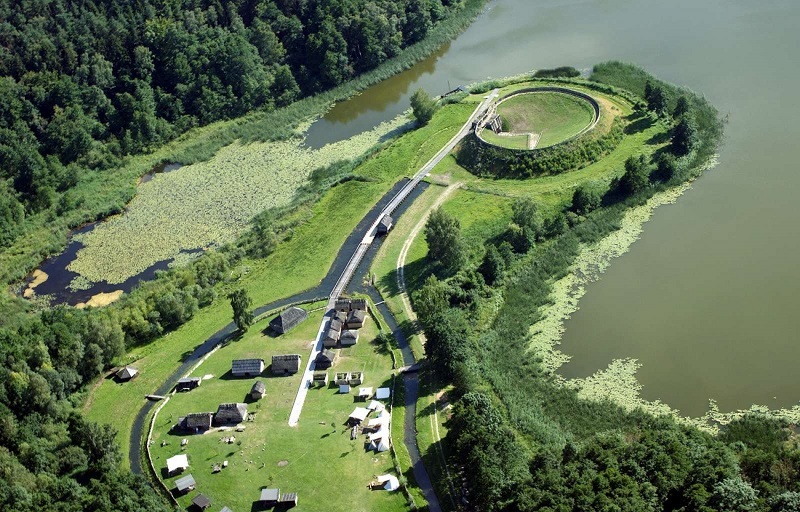 BTW, the diorama is called "Wacht am Rhein" .